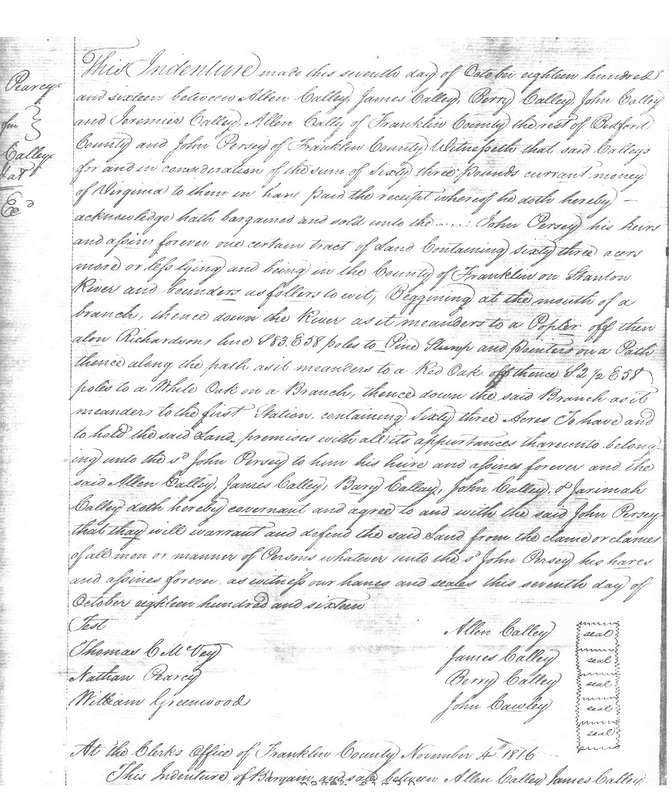 On December 12, 1807 John Cawley (Caulley) married Mary Siner9, 10, daughter of John Siner Sr.11 in Bedford Co., Va. Allen and Mary's first two children, Abel and John12, were born in Virginia13. 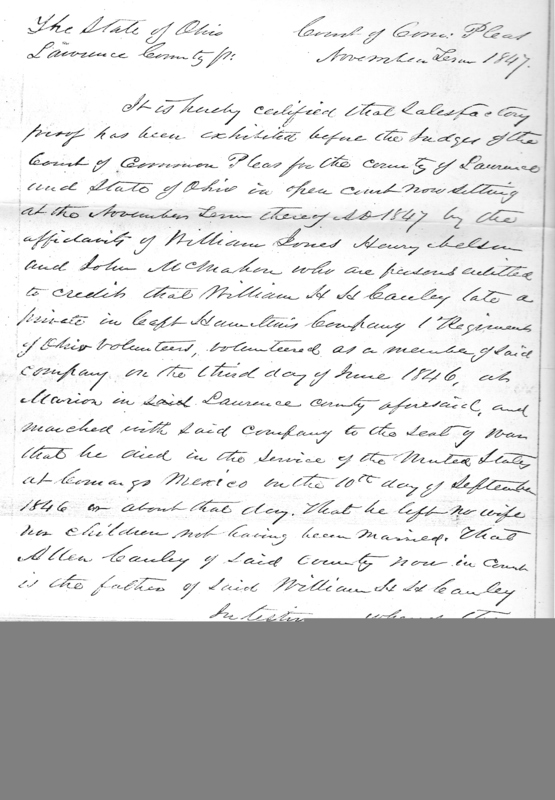 By 1816 Allen and Mary were living in Franklin, Co. Va. 14 and by February 25, 1819, they were living in KY, thier daughter Elizabeth having been born there. I have been told that they came through Pound Gap on the Journey to Kentucky. They resisded in Greenup Co., KY in 182015 and remained in Kentucky until 182916, when they moved to Symmes Township of Lawrence County, Ohio. 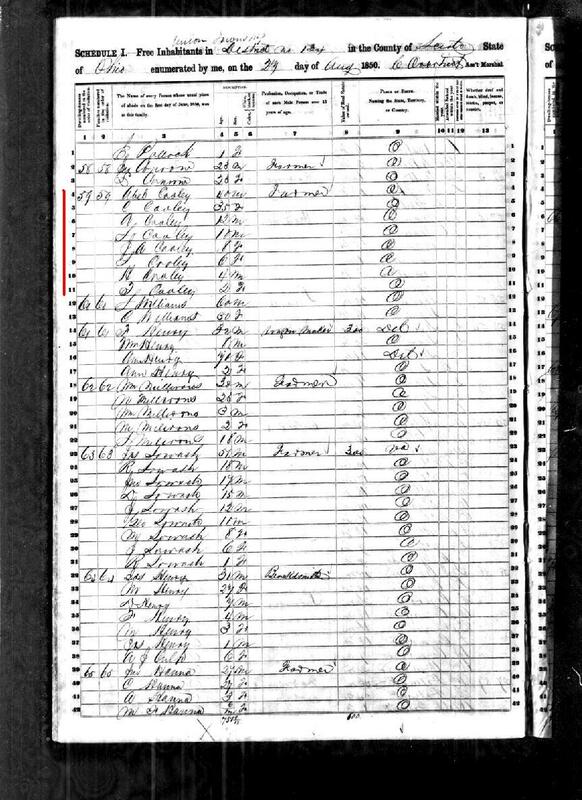 They may have moved to Greenup Co., Ky as that is where Allen's uncle (presumed) Thiel (Salathiel) Corley lived. Little is known about Allen's life in Lawrence Co. Ohio. 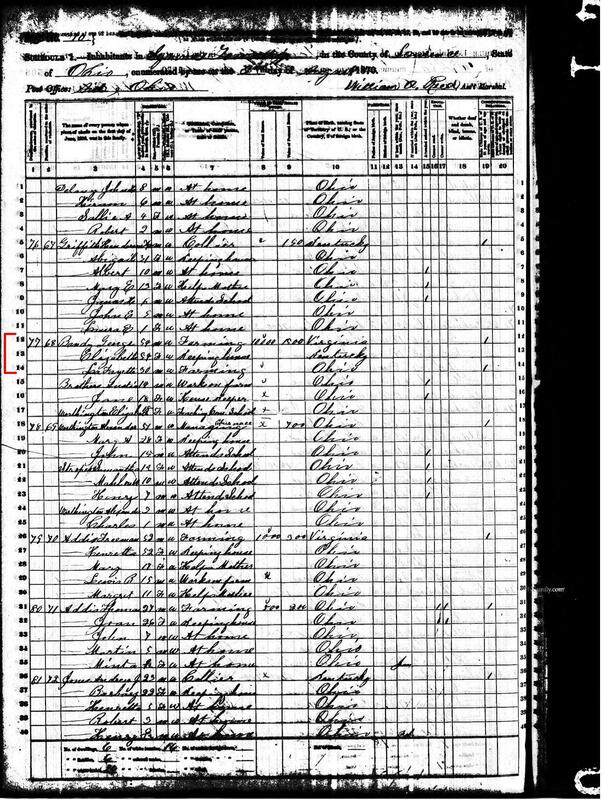 I have learned from the census that Allen was a farmer. He lived on what is today named CAULLEY CREEK17, formerly called "Yates Fork", a tributary to Buffalo Creek in Symmes Township. In 1837 Allen bought three quarter sections via US LAND PATENTS. Links to these patenes and those of his sons are listed below. It is believed that Allen and Mary are buried in unmarked graves in the CAULLEY FAMILY CEMETERY ( S10, T5, R17. Nr Cauley Cr Rd (CR46)). Several others of the family are buried there. Mainly his son, Andrew Jackson Caulley and some of his family. Allen's son, Abel Corley & his family relocated to Scioto Co, Ohio where his descendants are going by the COLLEY spelling. 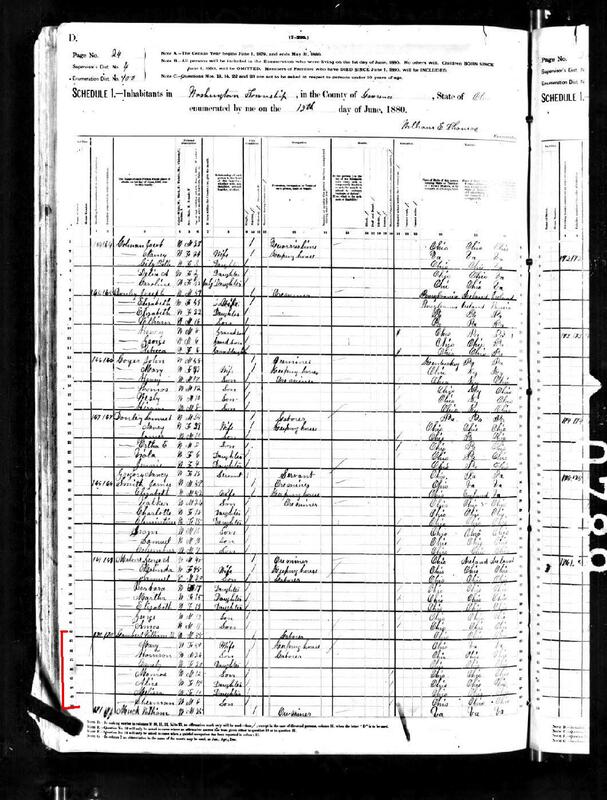 (Click the correct year to see the Colley households in the census. Abel Cooley 1850, Abel Colley 1880, Allen Colley 1880). 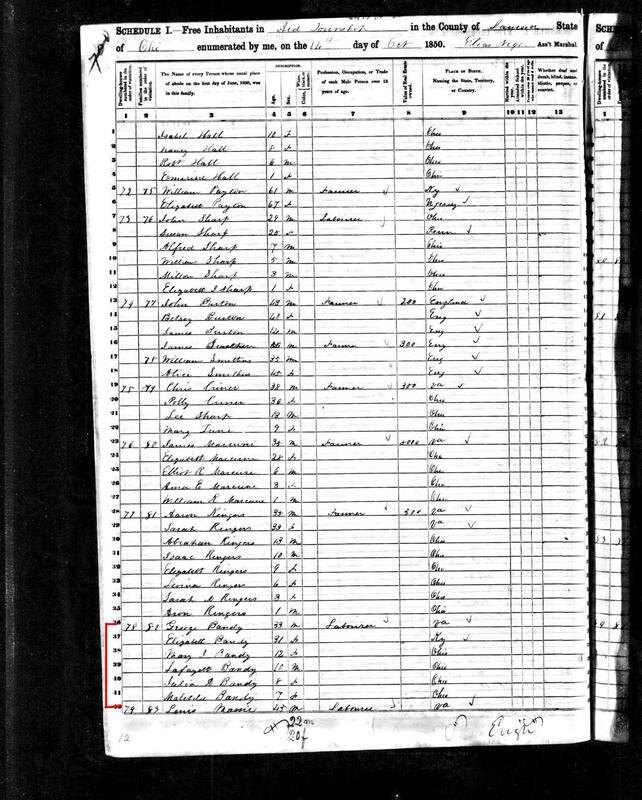 Allen's son John relocated to Reynolds Co., Missouri in 1870, having left after the Census was taken. They traveled by wagon across The American Road through Indiana and Illinois and crossed the Mississippi River before the Bridge was built at St. Louis. They settled in Reynolds County where John died on the 6th of October, 187618. John & Mary's son, Henry, died from wounds suffered at the Battle of Stones River in Murfreesboro, TN 18a. 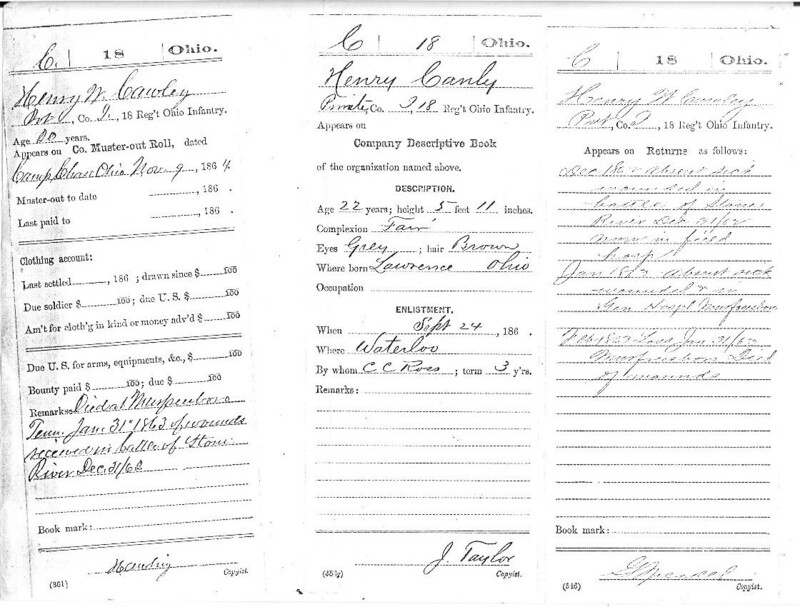 Daughter, Elizabeth Cauley Bandy divorced George Bandy Jr and died in Lawrence Co in 1899. 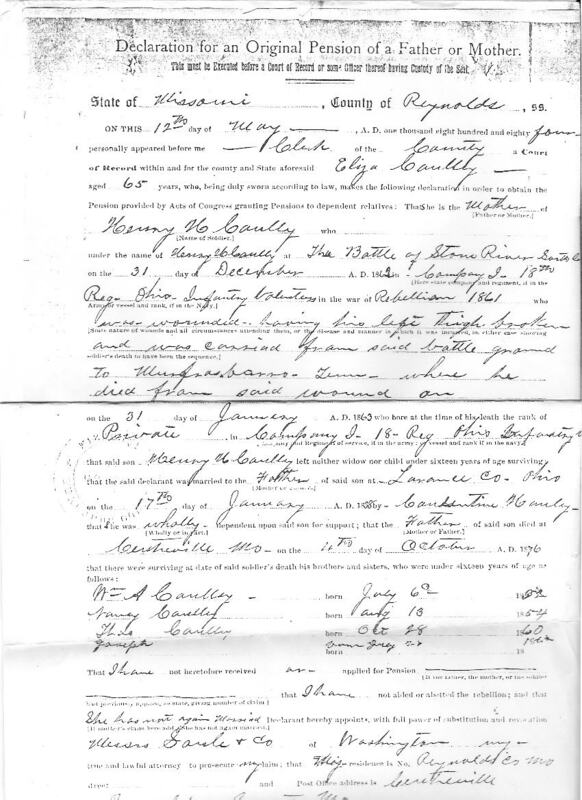 What we know about Elizabeth Caulley Bandy mostly comes from the census records. 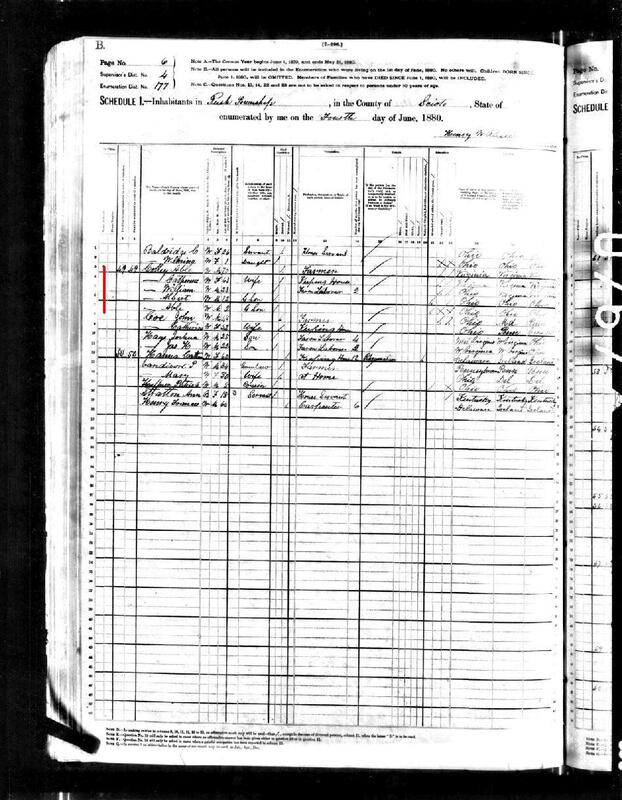 (Click the correct year to see the Bandy household in the census. 1850, 1860, 1870, 1880). Son Andrew Jackson enlisted in the army during the Mexican War19, 20afterward he stayed the closest to where the family settled, having farmed the land until his death in 1897. He was married twice. First to Nancy Thompson on 8 Jun 184621 and 2ndly to Rebecca Sanders on 19 Nov 185422,23. 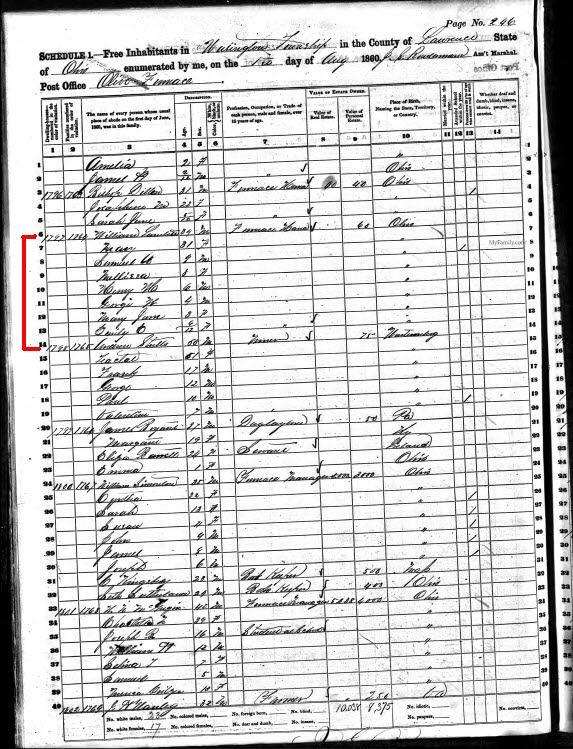 Son George relocated to Scioto Co., OH where he was a teamster and is reported to have smuggled escaped slaves across the Ohio River hidden among the boxes on his wagon. 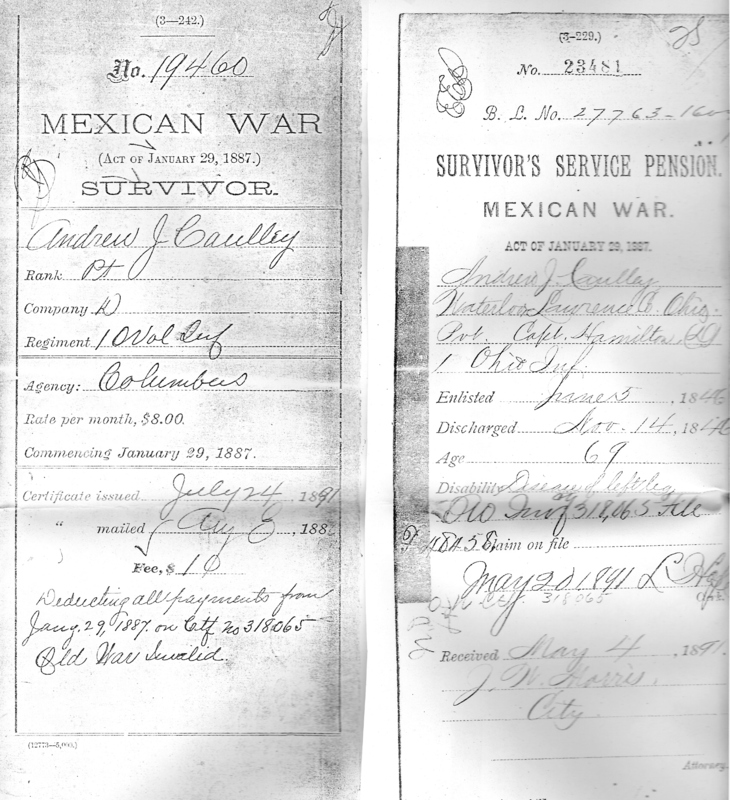 Son William Henry Harrison Caulley enlisted in the Mexican War and was killed and buried in Camargo, Mexico24, 25. Daughter Tempy Cauley married Willam Shope/Sharp. 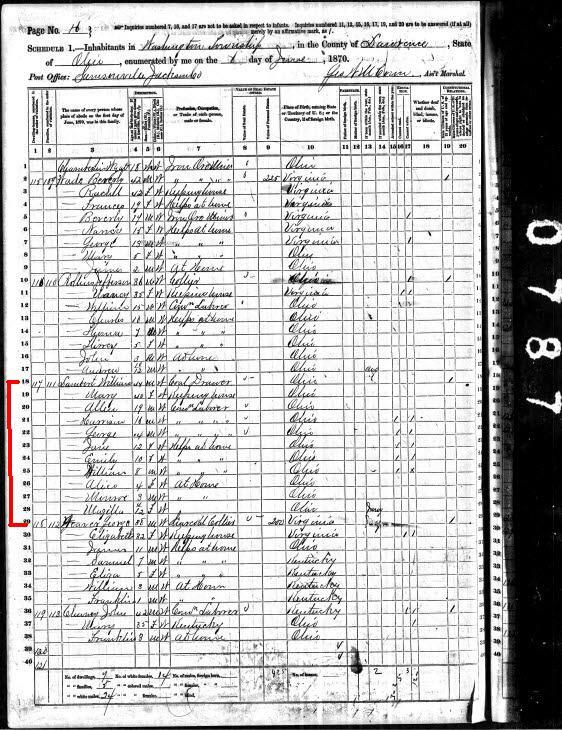 Little more is known about her and her descendants except what is learned from the 1850 census. Daughter Mary married William B. Lambert on August 25, 184926. 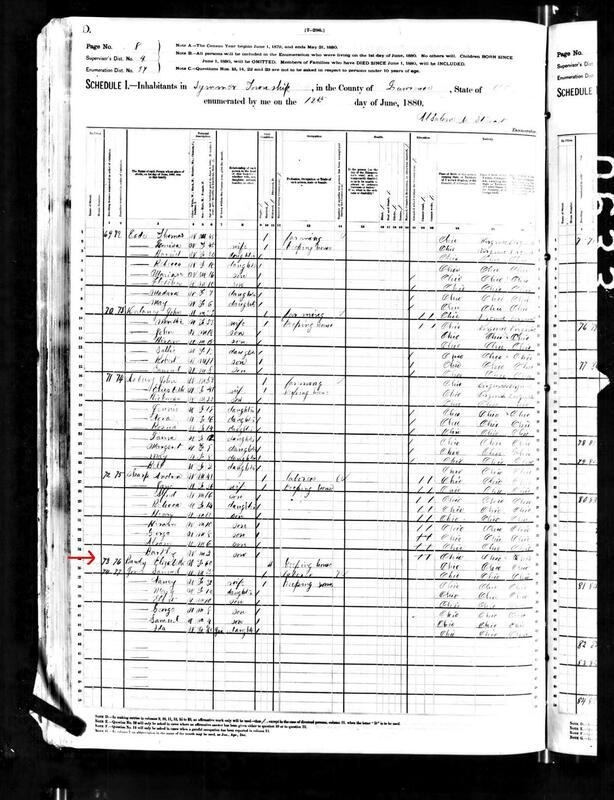 Little more is known about her and her descendants except what is found on the census records. (Click the correct year to see the Lambert household. 1850, 1860, 1870, 1880). Daughter Rachel Married Lewis Pascal/Louis Pascol on December 2, 184927. Little more is known about her and her descendants. 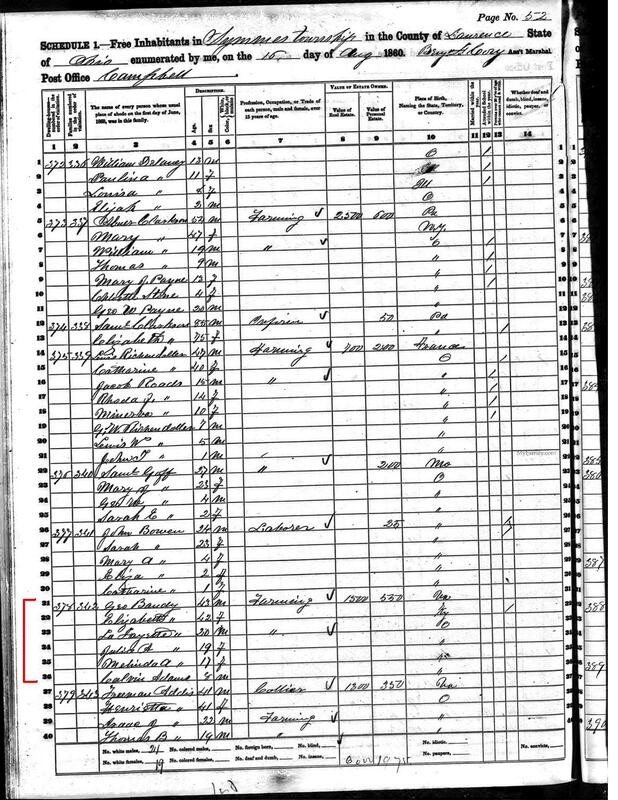 Only the age of the youngest child, daughter Sarah is known, from the 1850 census.